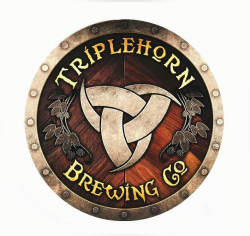 Woodinville's largest producing, locally-owned brewery, by two of Woodinville's lifelong residents! Family and dog friendly! Comfortably casual atmosphere, with 7 big-screen TV's for all season's Sports, and of course, Our Seattle Seahawks! Come enjoy one of the 12 handcrafted ales on tap, produced right in front of your eyes! Come join the TRIPLEHORDE! (our family...). Skal!